US broadcaster CNN has gone back on air in Russia after changes to the country's legislation caused a four-month freeze in its operation. It is broadcasting again to paying TV subscribers. 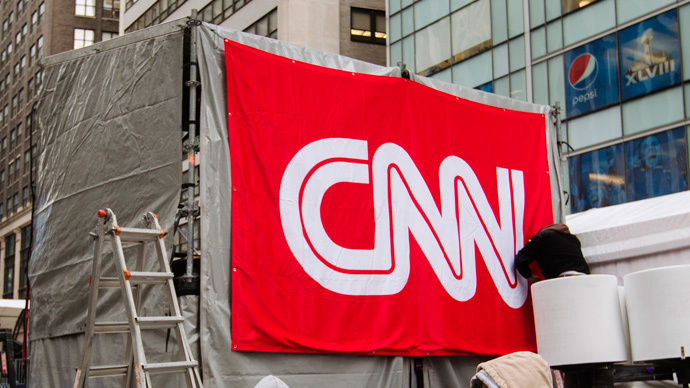 "We are happy to say that CNN International has already resumed its broadcasting in Russia," a Turner Broadcasting Company representative said, as cited in the press release by Trikolor TV, the operator that was the first to launch CNN in its network. Turner Broadcasting is the media conglomerate which owns CNN. CNN received a renewed broadcast license in Russia on March 23. It allows the network to remain operational on the country's territory for the next 10 years. It originally stopped broadcasting in Russia in December 2014, after the country's legislation regarding paid TV changed. One of those changes was the ban on advertisements on paid channels. Russia's media watchdog Roskomnadzor rebuffed suggestions it had something to do with CNN going off air. “CNN shareholders should be asked about the reasons behind stopping broadcasting,” its representative Vadim Ampelonsky said. Sources close to the network were cited in the media as saying the reasons were purely commercial. Cable News Network (CNN) was created in the United States in 1980 by Ted Turner and was the first channel to begin broadcasting 24/7. CNN International was launched in 1985. Its overall viewership includes over 200 million households in 212 countries. It began broadcasting in Russia in the early 1990s, following the collapse of the Soviet Union.